Studio/Run Time: AREA23A, 91 min. The 1990 horror flick Troll 2 features listless acting, klutzy special effects and not a single troll. It stars a whiny 10-year-old named Michael Paul Stephenson—who, two decades after the movie’s release and titanic flop, is still grappling with that disastrous first brush with stardom. Only a few years ago did Stephenson—by then an aspiring filmmaker—realize how oddly popular the movie had become, winning the strange hearts of B-movie aficionados worldwide. 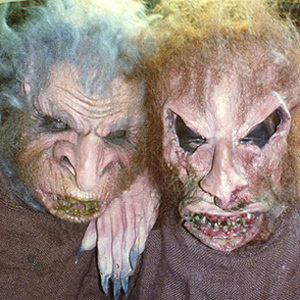 They’d thrown costume parties, hosted public screenings, even dubbed it the “best worst movie of all time.” This unlikely cult following is part of what Stephenson chronicles in his directorial debut, a kind of laughing-with approach to reconciling Troll 2’s disastrous beginnings and unlikely cult following. He also tracks down a number of his co-stars to gauge their enduring relationship to the film; obscurity, thwarted ego and general mental illness plague some, but George Hardy—the actor turned small-town dentist who played Stephenson’s father in Troll 2—becomes the documentary’s de facto star with his guileless, picket-fence grin. It’s a tale of despair, redemption and transcendence—like all the best movies, and all the worst.